Our first study examined the impact of the minimum wage in Agriculture on employment, hours of work, real wages and finally worker protection. The second paper, estimated the minimum wage effects on the same variables, but this time for five other minimum wage affected sectors, namely Retail, Domestic Work, Forestry, Taxi Operators, and Private Security. Both studies utilized the same data source, namely the nationally representative Labour Force Surveys, and applied identical statistical techniques. The latter incidentally were those utilized by Card and Krueger in their seminal work. So what were these results? Well, in the case of Agriculture, the minimum wage had a swift and large negative impact on employment. Employment fell in the year after the imposition of the minimum wage by close to 150 000 workers, representing a 17% decline. This was confirmed by the conditional probability of an individual in the sample working as a farmworker having fallen by around 10% in the period after the law. 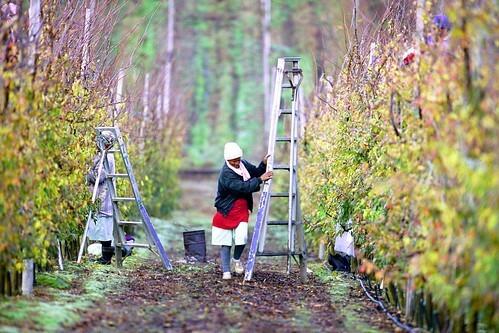 In turn, farm owners did not reduce hours worked in a bid to control higher wage costs, as hours worked after the minimum wage was introduced, did not change significantly. Farmworkers gained however, as our estimates show that farmworker wages in the post-law period, increased on average by 17.6%. Finally worker protection improved, as the share of workers with a written employment contract, rose sharply from 34% in the pre-law period to reach 57% by the end 2007. In contrast however, our results for South Africa’s remaining 5 minimum wage schedules, for which we are able to measure impact – suggest a far more benign impact on employment. Econometric evidence for the Retail, Domestic Worker and private security sectors actually suggest that the probability of getting employment in these sectors was significantly higher in the period after the introduction of minimum wages. Only the Taxi sector shows a statistically significant drop in the likelihood of employment. For the Forestry sector this probability did not change significantly. In turn, these five sectoral minimum wage laws were associated with positive increases in real hourly earnings afterwards in four of the five sectors with Forestry being the outlier. It does appear that the minimum wage had an effect on the utilisation of workers in terms of the usual number of hours worked per week. Statistically significant declines in hours of work occurred in Retail (a 4.5% decline), Domestic Work (7.7%; 3.3 hours) and the Security sector (4.5%; 2.7 hours). These also are the sectors where the employment numbers continued to rise after minimum wage laws were enacted. This suggests that employers may have started to reduce the usual work hours of employees in order to afford higher hourly wages. However, when investigating the effect of the laws on real monthly income, the Retail, Domestic work and Security sectors showed an increase in real hourly wages that was sufficient to outweigh any reductions in hours worked – workers ended up being better off in the aggregate. Workers in the Forestry and Taxi sectors appear to have been unaffected in real income terms. The link between new real hourly wages and amended hours of work following the advent of a minimum wage therefore is crucial. Ultimately though, these two studies illustrate the care that needs to be taken when attempting to pre-judge the potential economic consequences arising from the imposition of a minimum wage. Factors as wide-ranging as the level at which the minimum wage is set, the economic conditions prevalent within the sector, the wage elasticity and so on – all serve to influence the impact of an instrument which has become a key active labour market policy intervention in the developing world.